A week at home should have allowed for more progress on Flamingo but the weather was so awful it dampened my enthusiasm for outside work and even when I did grit my teeth and get out there it was difficult to see in the dim light below decks. Still there were a few bright moments and wonder of wonders, some helping hands! 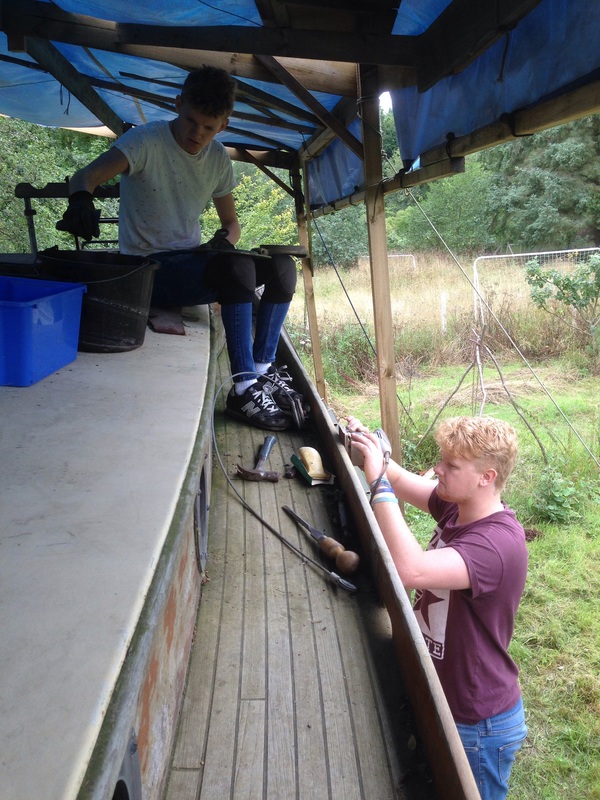 Toby sanding the toe rail and Luke removing sealant from the cabin sides. 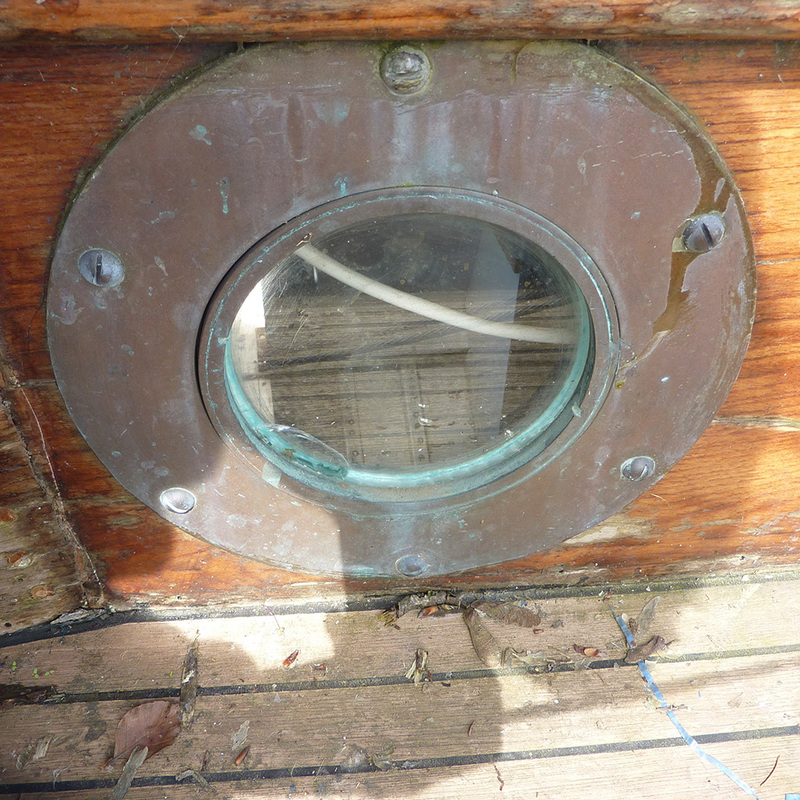 With some difficulty we removed the portholes so we could better sand and seal the cabin sides. I think at some point in her history the portholes were replaced with these rather too large ones with the result that the coach roof trim overlaps them. It wasn’t a problem for the stern most ones but towards the bow where the coach roof tapers, the top screw was completely hidden. I decided to simply chisel out a small half round to access the screw, it was still a real struggle to get them off so the permanent solution will probably be to use the porthole as a template and reshape the trim around it. This will make it much easier to remove them in the future. 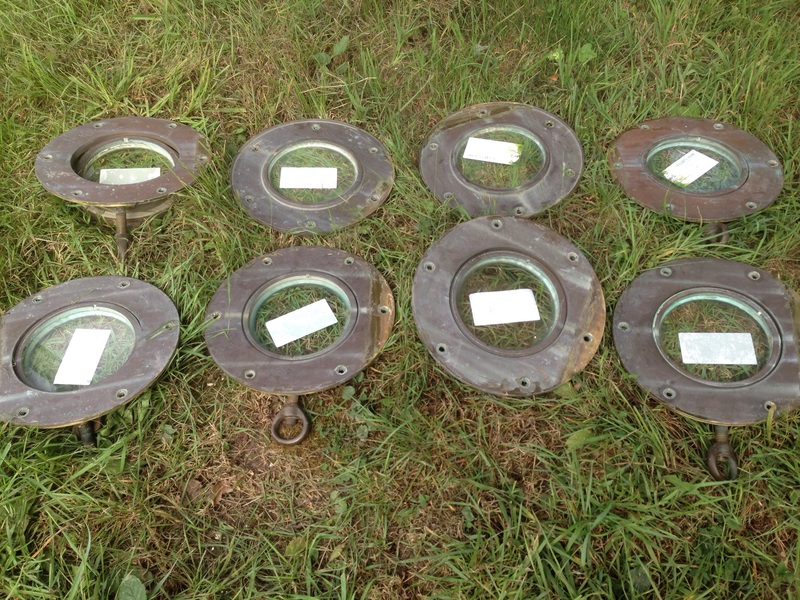 You can still buy these at www.davey.co.uk for £379.81 which means the portholes would cost more than I paid for the whole boat! No wonder the previous owner was worried someone would buy her to break up and sell as parts. 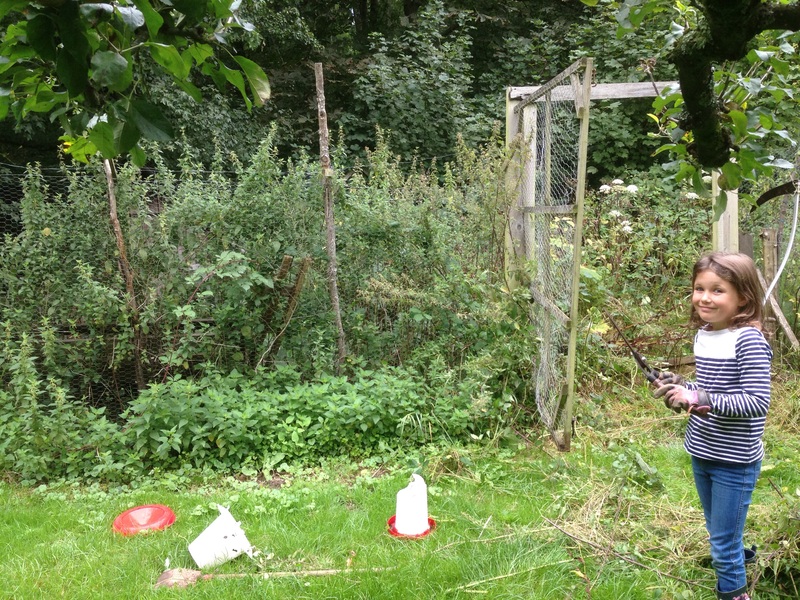 a day spent clearing brambles nettles and sycamore from the old chicken run. 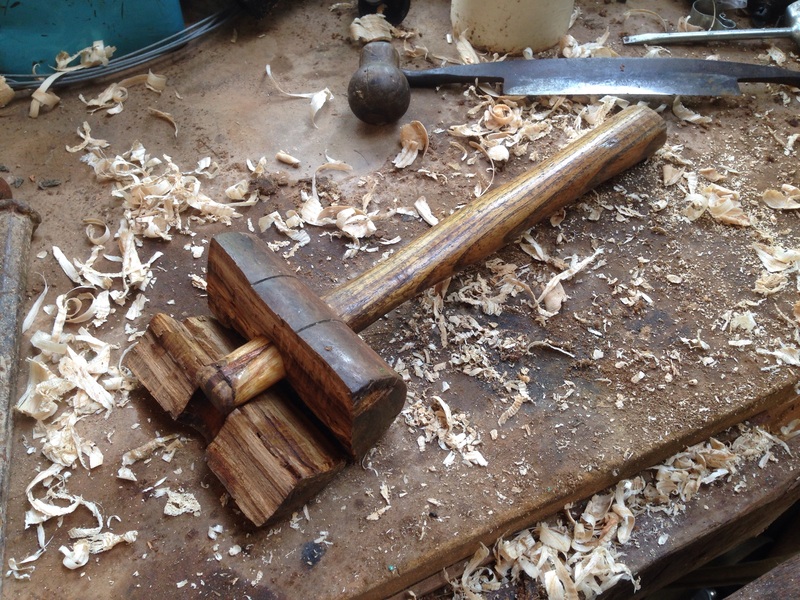 A new handle roughed out ready for finishing. 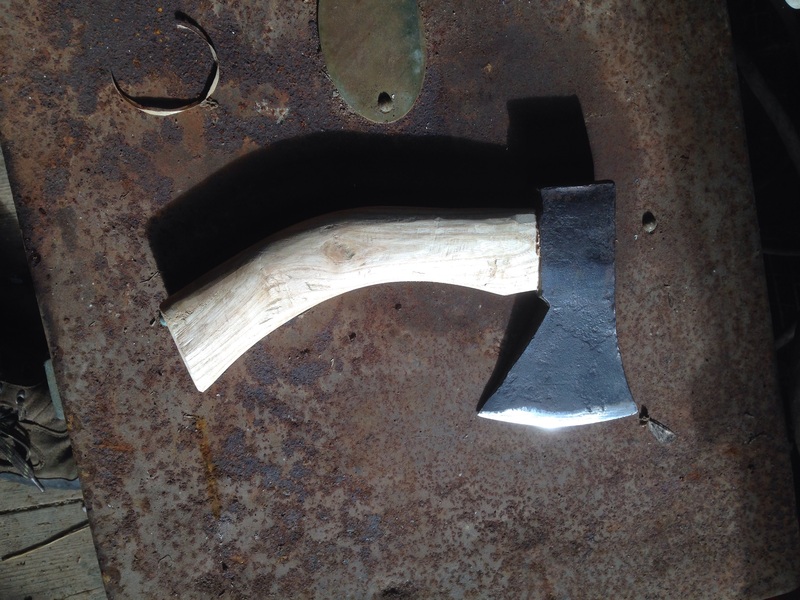 Note to self, don’t use a wooden mallet to drive an axe head on to the handle.